Former President Jerry John Rawlings must learn to behave like former President John Agyekum Kufuor who speaks and conducts himself as a statesman, Professor Ransford Gyampo, Director of European Studies at the University of Ghana, has said. According to him, some of the public utterances of Mr Rawlings, especially after leaving office, are unbefitting of the status of a former president. He said Mr Rawlings has victimised all other presidents that have come after him, and accused them of corruption without a shred of evidence. Prof Gyampo’s comments follow an apology rendered to former presidents John Agyekum Kufuor and John Mahama by Mr Rawlings for describing them as “evil” and “rogue” during an interaction with chiefs and elders from Mepe in the Volta Region last Tuesday when the traditional leaders visited to invite him to the final funeral rites of Mamaga Awusi Sreku II, queen of the Mepe Traditional Area. Mr Rawlings had said during the visit that if going to heaven meant sharing the place with Mr Mahama and Mr Kufuor, then he was better off going to hell. But in a U-turn, Mr Rawlings issued a statement saying he has withdrawn his comments and has rendered an apology to the two former Ghanaian leaders. The statement read: “The office of former President Jerry John Rawlings wishes to inform the general public that the former President has taken due note of concerns raised over certain publications arising out of a meeting he held with a delegation of chiefs and elders from Mepe in the Volta Region last Tuesday. Commenting on the issue on Ghana Yensom on Accra 100.5FM hosted by Chief Jerry Forson on Monday, 28 May, Prof Gyampo said although Mr Rawlings has apologised, he must be told that he cannot continue abusing people. “Rawlings speaks as if he is sacrosanct but he is not. There were several corrupt practices under his administration. I remember he issued a white paper to counteract a report by CHRAJ that indicted some of his officials in various corruption scandals. “He and his wife abused the rights of Ghanaians, but in all of these Ghanaians have forgiven them, yet he continues to talk this way. 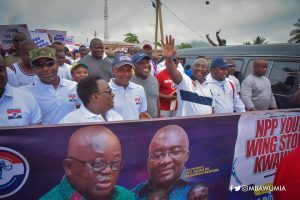 “He also engaged in several corrupt practices right from the AFRC days through to PNDC/NDC days but we have forgiven him, yet he continues to behave this way”, Prof Gyampo said. Prof Gyampo further said: “I am not saying he should not talk, all I am saying is that as a former President he should learn from his colleague former president John Agyekum Kufuor, the way he conducts himself and also speaks.